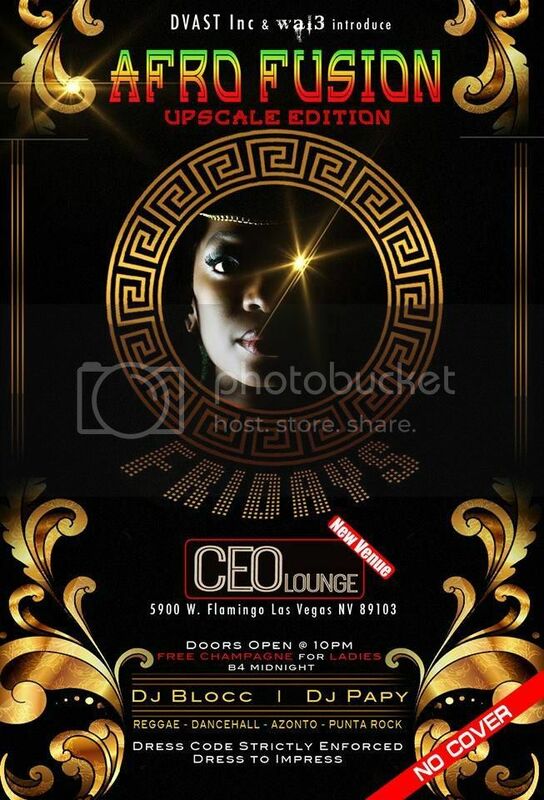 Afro fusion Fridays @ CEO international loung the only upscale nightclub in Las Vegas that reach out to all culture... Hiphop... Dancehall.. Reggae.. Punta... Afrobeats...azonto... U name it we gat it.. Dj Blocc.. Dj papy in d mix... Drink special all night... Call 702-497-6187 or 702-523-1673 for more info.. Table service available...free admission all night...Dress code strictly enforced. Upscale, I like this spot, good DJs, had fun all night, its still free! wow I encourage everyone to check it out. I had fun at this club,the Djs are the Bomb!! !